Prezentare oferta: Flat Rate. 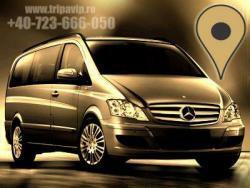 Unlimited Km within Bucharest metropolitan area. OTP Pick-up Point: Arrivals VIP Parking.